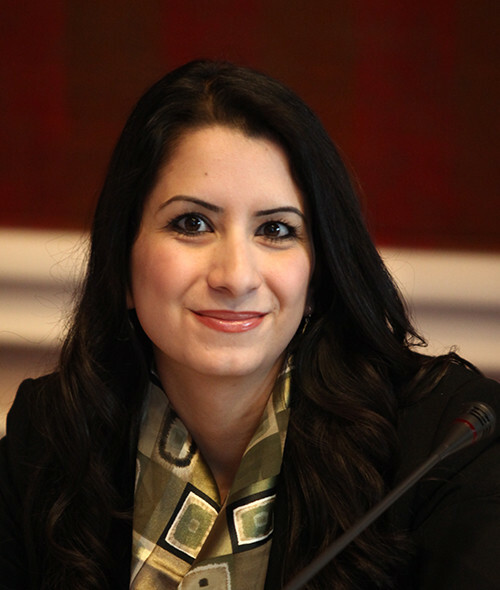 Ms. Samar Muhareb is the cofounder and the CEO of Arab Renaissance for Democracy and Development – ARDD, a Jordanian NGO which she co-founded in 2008, in response to the Iraqi Refugee Crisis. Having worked as a lawyer for many years prior, Samar realized that one of the most urgent challenges that refugees and marginalized individuals and communities face, is their exclusion from the justice system regardless of status. With over 15 years of experience in working for the international aid community, Samar is an expert in the field of human rights, refugee affairs, humanitarian response and women’s empowerment in Jordan and the Middle East. In addition to that, she actively supports initiatives focusing on environmental justice in the region. Samar is also currently a board member of the START Network, Greenpeace Mediterranean, the Southern Refugee Legal Aid Network, a member for the Scientific Committee for the Queen Aliya Award, a member in the special committee of the Royal Court’s Human Resources Development initiative, and was also selected as a delegate member to the Arab League under a new initiative to represent the work of civil society in the humanitarian field. Samar holds a B.A. in Law and a master’s degree in Human Rights and Human Development from the University of Jordan. Since 2014, she teaches Refugee and Migration Studies at the University of Jordan.